Palate/Finish: Long and sweet, intense, and ever-evolving. A deliciously extended finish. There’s a lot to love about the family run house of Vallein Tercinier. The L’Erotique Lot 69 Grande Champagne Cognac is a magnificent example of how truly outstanding their creations really are. 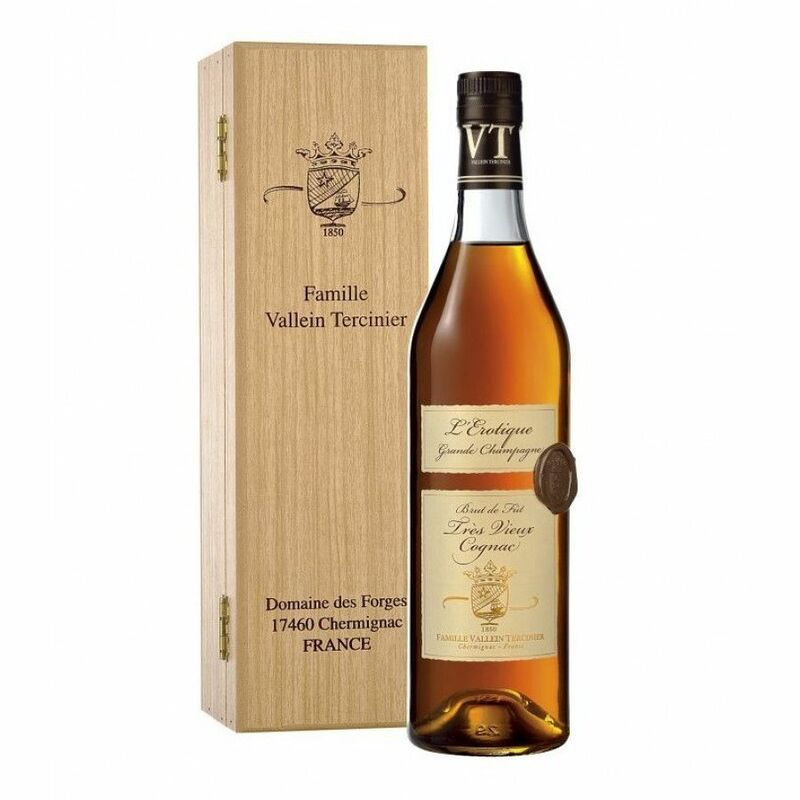 A product of the harvest of 1969, this Brut du Fut, award winning, Grande Champagne offering is presented at cask strength, in the simplistic presentation that’s become a signature feature of the vintage Cognacs from the Vallein Tercinier family. This is a brand to fall in love with, over and over again. The house shows true expertise, using their long family tradition to bring us the most unique of vintage Cognacs. They embrace all that’s great about our technologically advanced age, yet somehow manage to bring us Cognacs that are all about history and savoir-faire. The end result is eau-de-vie that really does represent everything that makes Cognac the most sought after brandy in the world. Presentation is very important to the Vallein Tercinier family. And it shows in their choice of traditional Cognacaise bottle, informative label, wax seal, and—the perfect finishing touch—a wooden presentation case embossed with the family coat of arms. This is a cask strength Cognac, bottled at 47% ABV. The careful production process has led to a powerful, yet incredible smooth, taste, and one that’s definitely best enjoyed neat, perhaps as a digestif at the end of a fine meal. As one would expect, such a great quality eau-de-vie hasn’t gone unnoticed. It was awarded the 1st prize honor of ‘Cognac Exceptionnel’ at the Concours des Saveurs de Chicago. If you’ve not yet experienced the wonders of Vallein Tercinier then this is a magnificent introduction. A wonderful addition to any collection, or the perfect gift for anyone who enjoys the finer things in life.